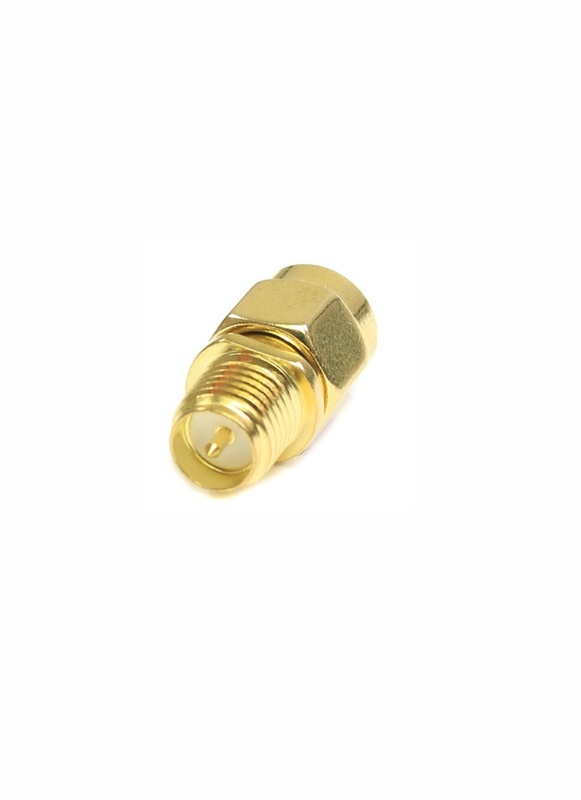 SMA Male to RP-SMA Female straight adapter - used to connect antennas to your FPV transmitter / receiver. The adapter has male pins both ends (like the picture). Gold plated for a higher quality connection. Before ordering please check the connection type of your equipment to make sure you select the correct adapter. If don't understand the difference between SMA and RP-SMA connectors then watch this short video.